There is quite a lot of references to Tai Chi as a martial art which is true back then, Tai Chi was used more as a martial art rather than a health exercise which it has evolved into what it is today. Very similar to Scottish Highland Dancing where one dances over two swords which have been crossed in the middle resting on the ground. This was traditionally done after battle. Dancing over your vanquished enemies swords was a way of celebrating your victory. Or the New Zealand Haka. That was originally done before a battle to intimidate their enemies before battle. But now it used at cultural events and welcoming ceremonies. Tai Chi is no different, originally the emphasis in ancient times was as a martial art. But now used mainly as a method of becoming fit and healthy. The history of T'ai Chi can be ambiguous at times. 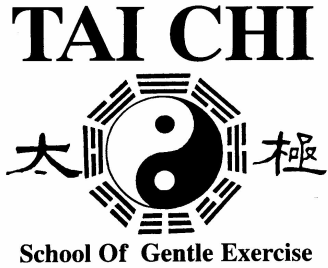 In the history of T'ai Chi there is a rich mixture of folk law, mysticism, politics and exaggeration. Some of the historical figures have well documented lives, others less so, and some have none. The trick is extracting fact from fiction, which is not helped when some of the historical figures are known with many different names. This forces one to work from their dates of birth and death, cross referencing dates and events to make sure that you have the same person. For this reason I have included their alternative names in italics to prevent confusion when reading other T'ai Chi literature that may refer to a different name. Most styles of T'ai Chi claim Chang San-Feng as the founder of T'ai Chi. Chang San-Feng himself is a bit of an enigma. Some historians say he existed, some say he didn't, however the body of evidence does tend to lean to the fact that he did indeed exist. Early records of the Ming Dynasty and The Ningpo Chronicles record that a Taoist Monk by the name of Chang San-Feng did live in the Wudang Taoist Temple between the Yuan Dynasty (1279-1368) and the beginning of the Ming Dynasty (1368-1644). The closest one can date his life is that he lived between 1391-1459. These dates aren't solid but are more of an estimate. Some of the stories that have been passed down have him living for 100s of years and possessing super human powers, which only makes discerning fact from fiction that much harder. He is credited with developing an internal form of boxing based on Taoist principles, emphasising such qualities as softness, yielding, relaxation and applying the concepts of Yin/Yang to movement. This form of boxing comprised only thirteen postures - these thirteen becoming the foundation stone from which modern T'ai Chi is derived. The thirteen posture boxing bore little resemblance to what we would recognize as T'ai Chi today. The movements weren't connected in a flowing continuous fashion as they are today, this job was left to Wang Chung-Yueh. Chang Sung-Chi Nothing is known of Chan Sung-Chi other than he learnt from Chang San-Feng and that he taught Wang Chung-Yueh. This has to be considered incorrect because the dates don't add up. Chang San Feng lived till 1459. If we assume that Chang Sung-Chi was twenty when he started training under Chang San Feng, and we assume that this training was started ten years before Chang San Feng's death, this would put Chang Sung-Chi's birth in 1429. If we are generous and give Chang Sung-Chi a long life of eighty years that would put his death in 1509. We then consider Wang Chung-Yueh who is said to have learnt from Chang Sung-Chi, the earliest documentation of Wang Chung-Yueh is of him owning a private school in 1791. Using the same rule of thumb that we used to work out Chang Sung-Chi's date of birth, that would have to date his birth in 1479, and with the last known date of his existence being 1796, it would make him around 317 years of age. So I think we can safely assume that Chang Sung-Chi didn't teach Wang Chung-Yueh. There would have to be at least four to five teachers that are missing in this lineage to keep the time line consistent. Wang Chung-Yueh Wang Tsung Yueh Wang Chung-Yueh was the man credited with linking the thirteen movements together into the continuous flowing form that T'ai Chi is today. Not too much is known of him. However it is known that he resided in Shanxi and that he was a school teacher who owned a private school in Luoyang in 1791. He was also active in Kaifeng. There are records that mention Wang was still teaching right up to 1796. After that he literally disappears from all records, his eventual death was not recorded. Being a scholar and an educated man he left behind a large body of writings on the subject of T'ai Chi. For example he wrote a comprehensive manual on T'ai Chi, parts of which were included into the T'ai Chi Classics. He also wrote instructions on the spear form. Unfortunately the manual was lost for many years only to be rediscovered in a salt shop, and given to Wu Yu-Seong (1812-1880) by his brother. This manual helped establish the foundation of the Wu style. His lineage lived on through Jiang Fa who would teach Chen Chang-Hsing. There is a fair amount of controversy about this next part in the history of T'ai Chi. Some people, mainly Chen stylists, claim that it was Jiang Fa who was taught T'ai Chi by the Chen family, and some say it was the other way around. Historical records tend to heavily favor that it was indeed Jiang Fa who taught the Chen family T'ai Chi. The claim that Jiang Fa learnt T'ai Chi from the Chen family is more to do with Chen pride than historical fact. Not too much is known about Jiang Fa, only that he was a student of Wang Chung-Yueh and that he worked and owned a tofu shop in Xian. There is no record of any sons taking up the art and no records of his birth or death. The Chen family was already renowned in Honan province for its martial prowess through the Chen family kung fu style of Pao Chui (cannon pounding fist) which is a Shaolin based external style. The Chen family had been teaching Pao Chui to its family members for over seven generations. Once when Chen Chang-Hsing was practicing his Pao Chui form a traveler by the name of Jiang Fa was passing by and saw Chen practicing. After observing Chen Chang-Hsing going through his form he had a chuckle and began to leave. Chen, hearing Jiang Fa laugh, took offense and chased after Jiang Fa and challenged him to a test of skills. Jiang Fa happily accepted the challenge which Chen Chang-Hsing lost very convincingly. Chen, realizing that Jiang Fa's martial art was far superior to that of his own, immediately asked Jiang Fa to be his teacher. Jiang Fa explained to Chen that he was only passing through and that he owned a tofu shop in Xian and needed to get back there. However he told Chen he would be traveling through this way again in three years, and on his return promised he would teach Chen his style of internal martial art. Three years had passed and good to his word he returned and taught Chen Chang-Hsing his internal form of boxing. It was Jiang Fa who told Chen that his lineage could be traced back to the Taoist Monk Chang San-Feng. It is at this point where it is generally believed that Chen Chang-Hsing blended the internal workings of T'ai Chi and its postures into the Pao Chui form of the Chen family, thereby internalising it. Yang Lu-Chan is the founder of what is probably the most popular of all the T'ai Chi Styles in the world today. Many styles owe their existence to the Yang style in one form or another. Born into a poor farming family in Yung-Nein in Hopeh province, Yang Lu-Chan showed an interest in martial arts at an early age, his father hiring a Shaolin Stylist Kung Fu instructor to teach him. In a few short years he had learnt everything that was to be learned from his teacher and was hungry for more. He was told by his teacher if he wanted to further his martial arts he would have to travel to Hui-Hsing in Honan province where there lived a man by the name of Chen Chang-Hsing, who trained an internal form of boxing which was considered the best of all the Martial Arts. The only problem was that he only taught people from his family. Unperturbed he bid farewell to his parents and traveled to Hui-Hsing looking for Chen Chang-Hsing. At this point in history there are a few versions of what happens next. This is the most probable. Upon arriving at the village where Chen lived, Yang Lu-Chan made some enquiries and met a man by the name of Chen De-Hu who gave him a letter of introduction to Chen Chang-Hsing. This was the customary way of organizing an introduction to a teacher. He was accepted as a student and earned his room and keep by working as a house servant. He learnt the external martial art from Chen Chang-Hsing but not the internalized form of martial art which he so badly wanted as this was reserved for family members only. One hot night he had trouble getting to sleep so he went for a stroll. Hearing noises coming from the courtyard of Chen Chang-Hsing's house. Curious, he peeked through a hole in the wall and saw Chen Chang-Hsing teaching family members the internal martial arts. This is what he came for. Every night he would sneak to the hole in the wall and watch the lesson, then return to his room and practice what he saw that night. Over time his standard became quite good. One day while performing his household duties he saw some of the family members trying to work out certain techniques. Forgetting that he shouldn't even know these techniques Yang went over and corrected them. Chen was informed that the house servant knew the secret art of the family. Chen Chang-Hsing asked Yang Lu Chan which family member had taught him the art. His reply startled Chen Chang-Hsing when Yang Lu- Chan said, “Why you did” and proceeded to tell him about the hole in the wall. Impressed by his determination and ability he took him on as a student. Yang Lu-Chan trained under Chen Chang-Hsing for seven years. After the seventh year he returned to his home where he accepted challenges from various martial artists. In one encounter he lost his bout. He came to the conclusion that he needed more instruction in this internal martial art and returned to his teacher. There he stayed for another seven years furthering his understanding, once more returning to his home. Again he took challenges from the local martial artists this time defeating them all, but the win was hard won. Believing that his art still needed more improvement he went back to his teacher one more time. On the third occasion he stayed for three years. In those three years it was said that Yang Lu-Chan learned the very essence of this internal art. Yang returned once more to his home and once more accepted challenges from the local martial artists. This time he defeated them all easily. Staying in his home town he taught martial arts for a living, gaining a reputation for his prowess. His reputation had carried as far as Beijing all the way to the Emperor's Court. In middle age he was invited to teach the Imperial Court. It was in this time frame that the actual name of T'ai Chi Chuan (Grand Ultimate Fist) came about. Up until this point Yang Lu Chan's style of martial art was known as “Mein Chuan” (Cotton Fist) or “Hua Chuan” (Neutralizing Fist) He was tested by many martial artists while at the court, winning all bouts with ease, thereby gaining the nick name of Yang the Peerless. So popular was his teaching that he was also known as Bah Yeh (Eight Lords) because he taught eight princes of the royal family. There are many stories that surround Yang Lu-Chan's life, some are far fetched, others less so. Nevertheless his contribution to T'ai Chi is indisputable, having changed the form and emphasising different aspects. He stamped his own individuality on T'ai Chi, resulting in the birth of the Yang Style that you now learn. There is not too much known of Yang Chien Hou, the third son of Yang Lu Chan. The oldest died in early child hood, his older brother Yang Pan-Hou's T'ai Chi line died off and disappeared from the family tree (1837-1892). The brothers were trained very hard seven days a week, with all their time spent on training T'ai Chi with very little time for play. Story has it that the training became so severe that Yang Pan-Hou ran away several times and on one occasion tried to become a monk just to get away from his father. On each occasion he was talked into coming home. Yang Chien-Hou actually tried to hang himself. Fortunately someone discovered him in time and he was cut down. It was known that Yang Pan-Hou was skilled in T'ai Chi and had an aggressive nature. He loved to fight and would often hurt students in the process of training. Due to his nature you can imagine he had very few students, though the few students that he did have were reputed to have been very good. Yang Pan-Hou later in life modified the form slightly, removing a few movements and adding a few extra ones. It was known that Yang Chien-Hou had a milder temperament than his older brother and was therefore a very popular teacher among his students, resulting in many good students continuing his line. I imagine it would have been hard for both brothers living in the shadow of such a great T'ai Chi master, as it is when one learns from any renowned master, but it must have been twice as hard with the master being your father. Yang Cheng-Fu was the third and youngest son of Yang Chien-Hou, and the grandson of the founder of the Yang style Yang Lu Chan. Due to this lineage he naturally started training at an early age, some written literature stating that his grandfather played a part in his early training. This would have proved difficult considering that he died 11 years before the birth of his grandson. He was trained in the small, medium and large frame. The differences between the small and large frame forms are just the size of the movements. This dates back to when Yang Lu-Chan taught at the Imperial Court. Due to the restrictive nature of the officials robes and clothing, the techniques were made more compact to cater for their inhibitive clothing. Nevertheless the principles that drove the small and large frame forms were the same. Yang Cheng-Fu also learned and performed the Old Yang Form (sometimes known as the Yang fast form). The Old Yang Form and the present Yang form are identical in the order and sequence of movements, the difference being that the Fa-Jing (fast and explosive movements) moves that are excluded in the present Yang Forms of today. An interesting story was told to me by Patrick Kelly (a senior student of Master Huang) when he visited the head of the Wu style in Shanghai, Master Mah Yueh-Liang, Master Mah learnt under the founder of the Wu style Wu Jian-Quan, and later on married his teacher's daughter Wu Ying-Hwa. Master Mah told Patrick how Yang Cheng-Fu would often visit and train with his teacher Wu Jian-Quan. Master Mah, being the disciple of Wu Jian-Quan, would dutifully wait outside with Yang Cheng-Fu's disciple, who happened to be Cheng Man-Ching, and would pass the time away by playing chess. Master Mah clearly remembers watching Yang Cheng-Fu training the fast form, but he never passed it on, resulting in the fast form dying with him. The Wu style as trained in Master Mah's lineage still retains the fast form as well as the slow form of the Wu style. Sadly Master Mah died in the late 1990s in Shanghai. Another great loss to the T'ai Chi world. In 1925 Yang Cheng-Fu was invited by his top student Chen Wei-Ming (Chen Wei-Ming was the person Cheng Man-Ching took his short Yang form to to have it approved) to come and teach in Shanghai. This was his first foray into teaching the general public. Due to the Yang family's martial reputation, and the fact that they had royalty amongst their students, they could pretty much pick and choose their students. I suspect there was a long waiting list for his personal tuition. So at the age of 42 he began to teach the general public. It was said that at this time he began to change and standardise the Yang Form. He removed all the fast and explosive movements of the Old Yang Form and made the movements more rounded and smooth. It is this form that is now recognised as the main Yang Style of today. Throughout his life Yang Cheng-Fu traveled all over China to such places as Wuhan, Nanjing and Guangzhou promoting Yang T'ai Chi. On his travels through China he accepted many challenges from various martial artists, successfully defeating all comers, and gaining the nickname of “Yang the Invincible”. He taught at such notable institutions as the Bejing Sports Society and Zhi Rou Association. Yang Cheng-Fu passed away at the relatively young age of 53 leaving behind a legacy of standardising the Yang Style, and propagating the art to the general public. Professor Cheng Man-Ching, a noted scholar and T'ai Chi exponent was known as the “Master of the Five Excellences”. These were T'ai Chi, Chinese Medicine, Poetry, Calligraphy and Painting. Some of his paintings hang in the Taiwanese National Art Gallery. He was a member of his nation's parliament, Professor of Poetry, and renowned for his abilities in Traditional Chinese Medicine. Patients traveled from afar to be treated by him. He was also well respected for his study of philosophy, especially in such works as the Tao Te Ching (The Book of the Way), I Ching and Confucianism, bringing new insights and life to these writings. Born in Yungchia, in the province of Chekiang during the Qing dynasty, he first began painting under the tutelage of Professor Wang Hsiang-Ch'ian. After two years under Professor Wang he moved to Shanghai where he continued his studies under Chang Kwon-Hong. Two years later he decided to move to Hangchou where he expanded his study to poetry and calligraphy with a variety of renowned teachers such as Shen Mei-So, Ma Yi-Fu, Ching Tzu-Yuan, Lo Hsing-Hu, and Wang Ch'ien Lo. In 1919 he moved again, this time traveling to Beijing where some of his poetry was published. This is considered all the more remarkable as this was achieved when he was only 19 at a time and in a society that was very age conscious, where respect was accorded not only to one's accomplishments and position in society but also to one's age. It was in the early 1920s that he started teaching poetry and painting at various universities and colleges. Also it was in the 1920s that he really began to expand his knowledge and practice of Traditional Chinese Medicine, studying under notable doctors as Tang, Yuan, Ming, Sung and Dr Sung You-An. It was in 1928 that he started his T'ai Chi training under Yang Cheng-Fu. His primary motivation, he said later in life, was to improve his general health which he had neglected with his constant late night studies and teaching. His health had deteriorated markedly to the point where he nearly died. This was what motivated him to diligently practice his T'ai Chi. Throughout his life, every time he slackened off, he said ill health would begin to return. Cheng Man-Ching would often reminisce about his time with Yang Cheng-Fu and how hard the training could be. This was testified to by the number of times he was knocked unconscious by Yang Cheng-Fu demonstrating the application of T'ai Chi techniques on him. Yang Cheng-Fu also began to publish books about T'ai Chi around the time Cheng Man-Ching began his training under him, which led to the speculation that perhaps Cheng Man-Ching may have ghost written some of his books. In 1930 Cheng Man-Ching established the College of Chinese Culture and Arts. Soon after founding the college in the early 1930s he retired from full time teaching. Under instruction from the then president of China, Chiang Kai-Shek, he begun to teach T'ai Chi at the Central Military Academy. Interestingly enough he also taught T'ai Chi to Pu Yi's sister, Pu Yi being the last Emperor of China. He certainly traveled in interesting circles, meeting all sorts of people: aristocrats, national leaders, military leaders, world class painters, poets, martial artists, traditional doctors and philosophers; the who's who of China at the time. He would have made an interesting dinner guest with his after dinner conversation. He also became the Director of Martial Arts for Hunan Province in 1938. It was in this same year that he condensed the Yang Style Long Form 108 movements down to 37 movements, which is now known as either the Short Yang Style or the Cheng Man-Ching Form. He said the reasoning behind shortening the Yang form was that it was just too hard for the general public to learn and practice. Being very much the traditionalist, and having trained and studied the Classical Arts of China, he was very wary of changing anything when it came to T'ai Chi. After shortening the T'ai Chi form down to 37 movements he felt he needed it to be approved by someone senior to himself. As it was impossible for him to show the shortened form to his teacher, as Yang Cheng-Fu had died in 1936, he visited one of Yang Cheng-Fu's most senior students, Chen Wei-Ming, and showed him this new short form. Asking for any criticism he may have Chen Wei-Ming not only complemented Cheng Man-Ching on the new short form but proceeded to included it into his own school's teachings and curriculum, which is high praise indeed. With the rise of communism in China in 1949 he, like so many of his fellow country men, fled across the Taiwan Straits to Taiwan, founding the Shr Jung School of T'ai Chi Chuan in the same year. From the early 1950s to 1964 he mainly taught painting to private students. One of these private students was the president's wife Madam Chiang Kai-Shek. During this time he held many exhibitions of his work including overseas exhibitions in Paris and New York. From 1964 until his death he divided his time between Taiwan and New York. In 1964 he established two organisations, the Shr Jung Centre for the Cultural Arts and the T'ai Chi Institute, both of them in New York. It was these years between 1964 and 1975 where western culture was heavily exposed to Cheng Man-Ching's teachings of his Five Excellences. He formed the Shr Jung T'ai Chi Centre in New York two years before his death. He passed away in Taiwan, March 26th 1975. The Shr Jung School continued on for a few more years after his death but slowly dissolved and disintegrated by the 80s. His students of T'ai Chi are primarily in Taiwan, U.S.A, and South East Asia, but his teachings of T'ai Chi still continue to this day, having spread throughout the world in the form of books, film and of course through his students. Huang Sheng-Shyan was already a renowned White Crane Kung Fu exponent in his home Province of Fukien, well before he started his training in T'ai Chi. He was born in Minhou County, Fukien Province. As a young boy he showed a natural aptitude to all things physical, especially the Martial Arts. An incident happened that would dictate the course of his life. Born into a poor, low status family, they were continually picked on and bullied by the more upper caste of the village. It was in one of these incidents that his mother was badly beaten, which led to her eventual death a year later. On her death bed it was her wish that her son would learn Martial Arts to defend himself from bullies and thugs, and to bring to justice the thugs that took her life. After his mother's death he promised himself he would follow her wishes and learn Martial Arts from a famous master. As fate was to have it, it wasn't long before he found a teacher of exceptional quality and knelt to Hsieh Tzung-Hsiang, his first teacher in the Martial Arts. Hsieh Tzung-Hsiang was a Master in two styles of kung fu - Fukien White Crane and Lohan. He was asked to open up a kung fu school in Huang Sheng Shyan's village to teach the youngsters. It wasn't long before the young fifteen year old, with his determination and ability, caught the attention of the old master. One year into his training under Hsieh Tzung-Hsiang, the 71 year old master retired and handed over responsibility for the training of the young Huang Sheng Shyan to his most senior disciple, Ch'en Shih-Ting. Ch'en Shih-Ting was more than happy to take over the training of such a promising student. Huang Sheng Shyan trained under Ch'en Shih-Ting for two years. The training was hard but rewarding with his standard increasing dramatically. With his confidence and abilities high he went in search for the culprit who caused his mother's death. On enquiring the whereabouts of the individual he discovered that he was dead, robbing him of his chance for justice. Determined to improve his Martial Art even further, in 1930 he knelt to his third White Crane teacher, the renowned P'an Ch'un-Nien. He spent the next three years training hard and following his teacher into the surrounding mountains to collect various medicinal herbs for his teacher's medical practice. After the third year he left P'an Ch'un-Nien and traveled to Shanghai where he met up with some friends from his village. He was encouraged to open up a kung fu school, and after much hesitation he finally opened his first school. It was a modest start, teaching from a house. It wasn't long before he began to mix with the local Martial Art community with their different styles and forms. He developed a friendship with three young Martial Artists. They were Chung Yu-Jen, Chiang Hai-Ch'ing and Yang Chih-Ch'ing. These three friends practiced T'ai Chi, Pa-Kua Men and Hsing- I. The four of them would train with each other, showing each other their style of kung fu. It was here that Huang Sheng-Shyan really begun to develop an interest in T'ai Chi. In 1934 he returned to his village for a county Martial Arts examination, defeating all other competitors. He was allowed to compete in the provincial examination. After knocking out three competitors and progressing to the finals he was matched with Chang Jih-Chang whose specialty was leg sweeps. Huang Sheng-Shyan had fought Chang Jih-Chang earlier on in the tournament with neither of the two getting the upper hand. It ended with the referee calling it a draw. Now they met in the finals. After exchanging many blows both sides were feeling the effects of the fight. In the third round Chang performed a sweeping kick which Huang Sheng-Shyan failed to evade, it hitting him square on the leg, causing his right hand to touch his foot and not the canvas (which was required for a point to be scored). Chang's fellow team mates grabbed the winners flag to claim the championship. Later on Chang Jih-Chang said he felt he wasn't the rightful winner of tournament. Huang Sheng-Shyan became runner up and Chang Jih-Chang the winner. From that day onward Huang Sheng-Shyan became known in Fukien as the “Young Hero”. In that same year he worked at the Fukien Chinese Opera Company choreographing fight scenes. The war of resistance against Japan was in it's second year, it was 1938, and he felt he had to contribute something to the war effort so he taught broadsword to the soldiers going to the front. In 1942 he was promoted to Chief Instructor of the Youth's Chinese Martial Arts Association of the county. His Martial Art abilities were quickly recognised by his superiors and he was promoted once more, to the rank of Colonel. He was appointed the Commander of the militia regiment of three districts of the municipality of Foochow. He stayed in this position for the remainder of the war during which he personally led over 30 attacks on Japanese positions. At the end of the war in 1945 he returned to his civilian job as Chief Instructor with the Youth's Chinese Martial Arts Association. During the war years he placed on hold his ambition of training in T'ai Chi, but after the war he was free once more to cultivate this interest. He got his chance with a Martial Artist by the name of Wan Lai-Sheng who was famous in Foochow for winning the All China Martial Arts Games of 1938. He was the favorite disciple of Tu Hsin-Wu of the Tzu-Juan Men Style. Wan was trained in three internal styles of kung fu, they being T'ai Chi, Hsing-I and Pa-Kua. Wan exposed Huang Sheng Shyan to the theories and principles of T'ai Chi, which only fed his thirst to understand T'ai Chi more fully. Like his soon to be teacher Cheng Man-Ching, he also fled the communists that were being swept to power in China and moved to Taiwan in 1947. Arriving in Taiwan he wasted no time in searching out a good T'ai Chi teacher. Hearing of Cheng Man-Ching's reputation as a T'ai Chi practitioner he paid him a visit. After a testing of skills he realised he was in the presence of a great T'ai Chi Master and immediately knelt and asked to become his student. Chen Man-Ching at first agreed but asked where he had learnt his T'ai Chi. Huang Sheng-Shyan replied that he had never learnt T'ai Chi before. Cheng Man-Ching was insistent that he had indeed done T'ai Chi before because he felt it in him during push hands. Again Huang Sheng-Shyan said that he had never done T'ai Chi. Cheng Man-Ching said that the student and teacher relationship must be based on trust and respect and if he wasn't going to tell the truth then he couldn't teach him. Desperate Huang Sheng-Shyan immediately went back home and fetched his White Crane Manual that was given to him by his White Crane teacher and returned to Cheng Man-Ching, showing it to him. Cheng Man-Ching opened the cover and on the first page was written Sung, Sung, Sung. In English this was translated to Relax, Relax, Relax. Upon seeing it Chen Man-Ching said this is what he felt in push hands, it was his White Crane. He immediately accepted Huang Sheng-Shyan as his student, so at the age of 37 he became a student of T'ai Chi. Though Huang Sheng-Shyan could throw most of Cheng Man-Ching's students a distance Cheng Man-Ching forbade him to push for four years saying that he had a good base but that he needed to soften and absorb more. So for four years he was pushed by everyone in the school. One day after four years of being pushed Cheng Man-Ching called him into his yard and said today you can push. When Cheng Man-Ching's senior students tried to push Huang Sheng-Shyan, he neutralised their pushes and threw them out ten to fifteen feet. Throughout his time with Cheng Man-Ching he continued to further his study of Chinese Medicine. He learnt under Cheng Man-Ching for eleven years, leaving Taiwan for Singapore and Malaysia in 1958. He accepted an offer by the Association of New Chinese Medicine of Singapore to be its new Orthopedic Doctor. He established T'ai Chi schools in Singapore, as well as establishing the T'ai Chi Association of Singapore. From the 1960s until his death in 1992 he established over eight T'ai Chi associations in Malaysia and taught over 10,000 students. He traveled to America, New Zealand, Australia and Taiwan to promote T'ai Chi and inspect his student's, schools. Officially retiring from full time teaching in the early 1980s he retired to the provincial capital of Sarawak, still treating patients at his Herbal Medicine clinic. In the late 1980s Huang Sheng-Shyan and some of his personal students were invited back to China. This was the first trip back to China in over 40 years. He visited the areas where he spent his youth training kung fu, visited family and old friends, and gave demonstrations at various martial arts associations in China. A couple of times a year he would travel around South East Asia and visit his schools, just to make sure the standard wasn't slipping with his absence. A year before his death in 1992 he had taken out New Zealand residency and had plans to live and teach in N.Z. Before this could happen he died in his old hometown of Fujou China in 1992. To summarise Huang Sheng-Shyan's life, he lived in interesting times. China was probably in one of the greatest upheavals of its existence, politically and socially, with the ending of a Dynastic Rule in China and the establishment of China's first Republic, right through to the rise of communist rule. In military terms the world was in the grip of World War II and his own country was fighting off a Japanese invasion. Throughout this time of great upheaval and personal hardship he conducted himself with integrity and humility, never wavering in his pursuit of the Martial Arts, Medicine and T'ai Chi. He always endeavoured to seek out the best teachers regardless of distance and never allowed his own martial abilities to obstruct him. His teachings of T'ai Chi brought a renaissance of T'ai Chi in South East Asia and possibly to the rest of the world. His effect on the T'ai Chi world has not ended with his passing. His teachings are still spreading throughout the world today through his many students, like ripples on a lake made from a large stone they reverberate outward well after the cause has long gone. Wee Kee Jin (1956- ) Wee Kee Jin is the principal instructor at the Taijiquan School of Central Equilibrium based in Auckland with associations in Wellington, New Zealand and Brisbane, Australia. He has dedicated himself to T'ai Chi for many years, with more than half of that time professionally teaching in Singapore, where he was born, and in New Zealand where he immigrated in 1991. He is internationally recognised as a senior instructor of the Huang Sheng-Shyan system and is in ongoing demand by schools and associations in Europe and Australia. Twice a year Jin gives workshops in England, Holland, Germany, Austria, Norway and Denmark, plus every few months he crosses the Tasman to Brisbane, Australia.